so THAT’S what those funny shaped tips are for! For my 30th birthday, my then fiancé (now husband) gave me a tool box filled with piping bags, icing tips, and food coloring. 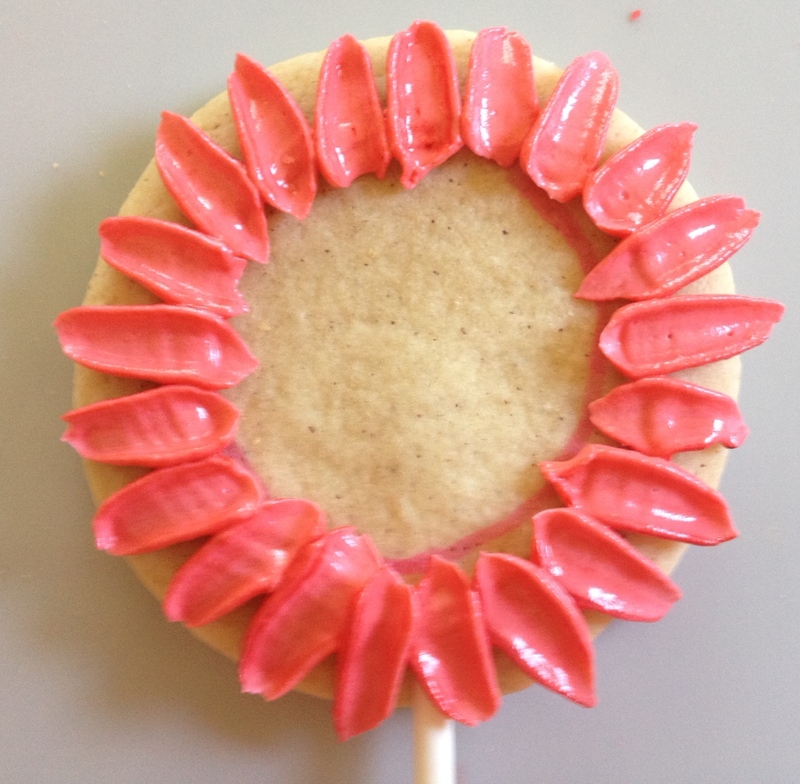 I had been decorating cookies with those little tubes of icing from the grocery store. That gift started me on the path to what has become a pretty serious hobby. But until this week, I avoided all the funny shaped tips in that box. Enter two problems and one elegant solution. 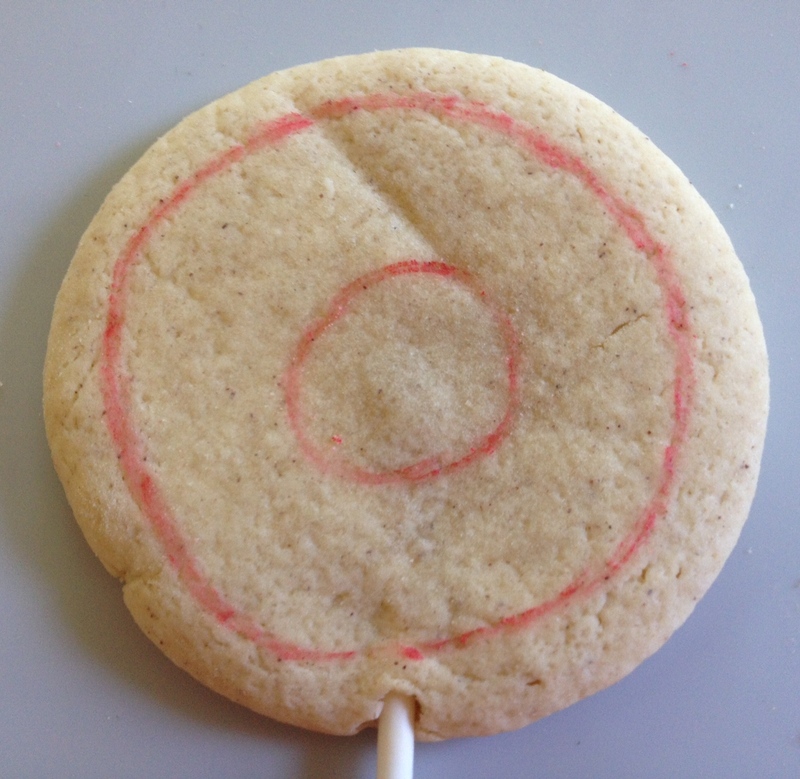 Problem one: 25 leftover round cookies on lollipop sticks in my freezer. 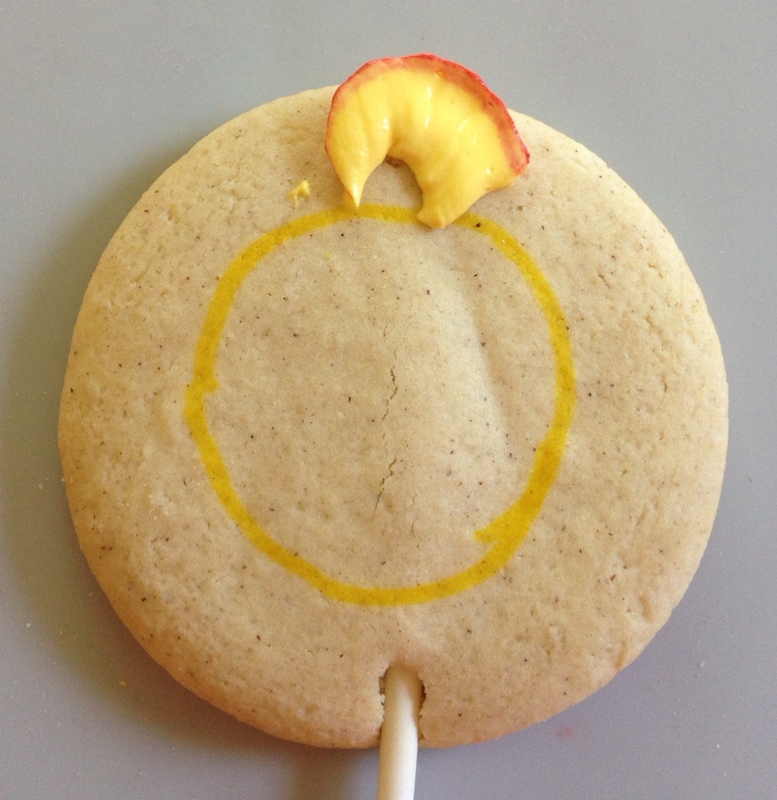 Problem two: a lack of cookies suitable for a backyard barbeque wedding celebration. 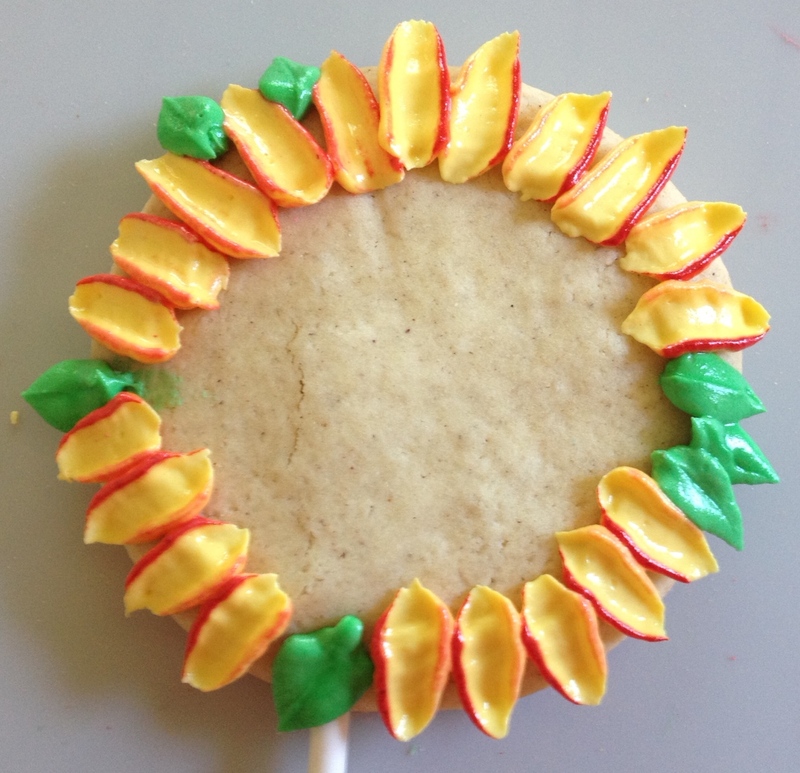 My desire to solve both problems at once outweighed my aversion to the funny shaped tips, and I decided to create a cookie bouquet. I love the result so much I am sharing it with you. The hardest part is learning how to pipe with the tips. What you do not see below is a very large sheet of paper covered with icing. I gave the tips a good test drive before I started piping on the cookies. 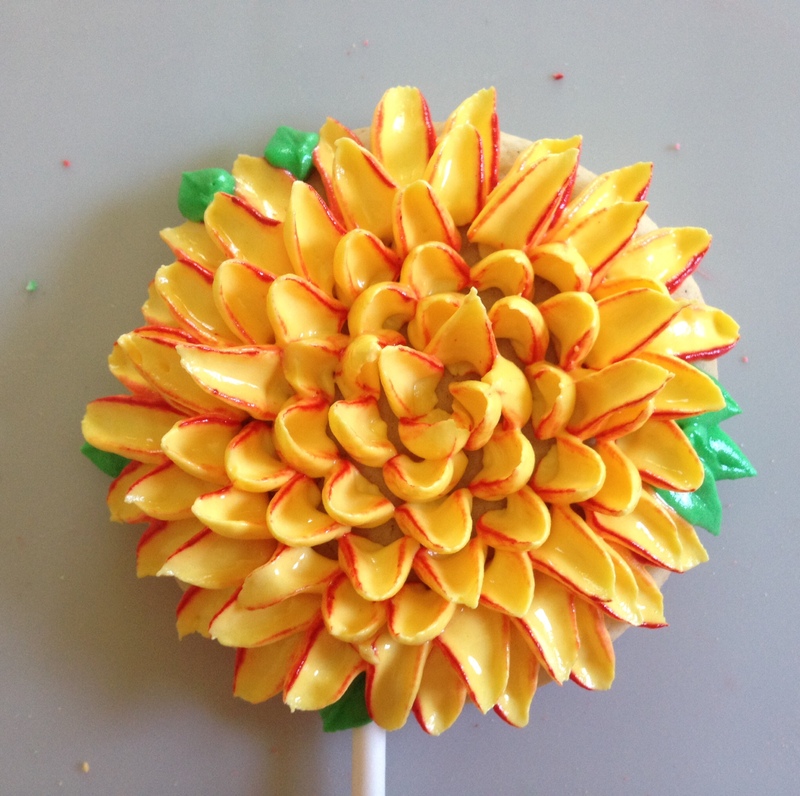 The first few petals I attempted were…um… not good. 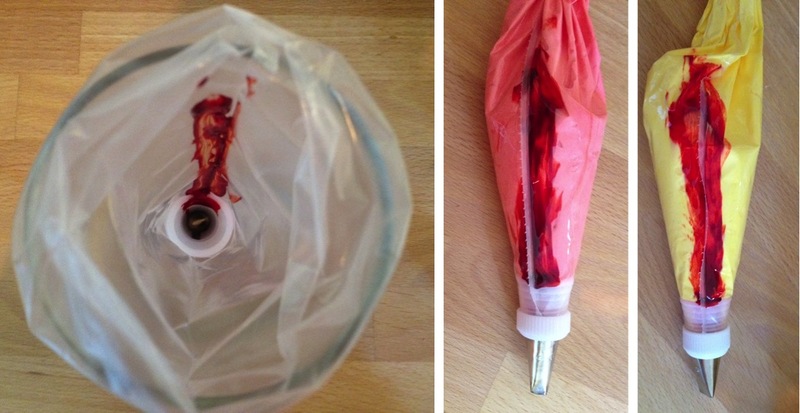 But once I got comfortable with the tips, they were very easy to use. Step 1: Make the icing. You will need very thick icing for these. I used 1/4 cu. meringue powder, ½ cu. water, and 4.5 cu. of confectioner’s sugar. 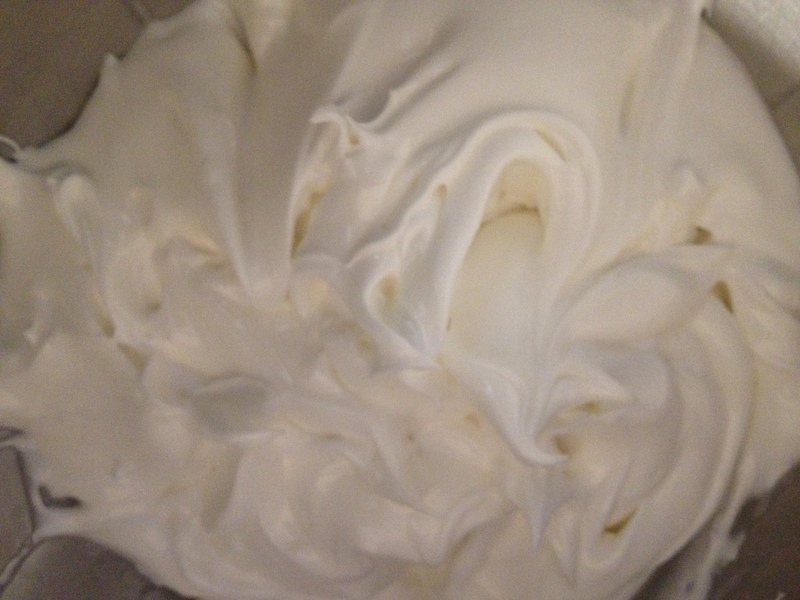 I mixed the meringue powder into the water until it was well combined and then mixed in the sugar slowly. In order to get this thickness, I let it mix for around 15 mins. When the icing forms solid peaks it is ready to color. (Tip: cover the icing you are not using because it will harden fairly quickly). 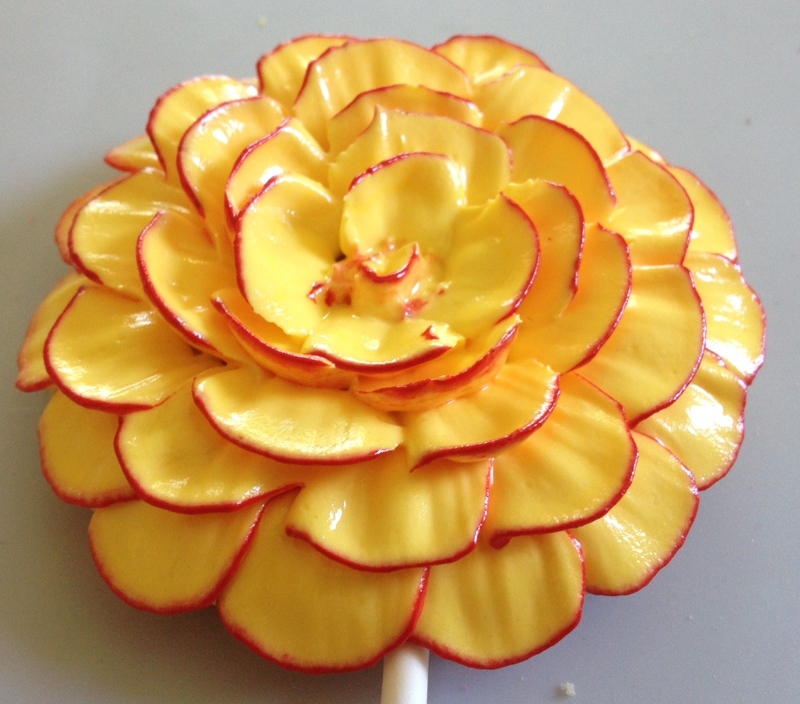 Here I have made 3 different flowers using three different tips. The first is a half moon petal tip (81), the second is a large petal tip (104), and the last one is a small petal tip (101). Step 2: Color the icing. 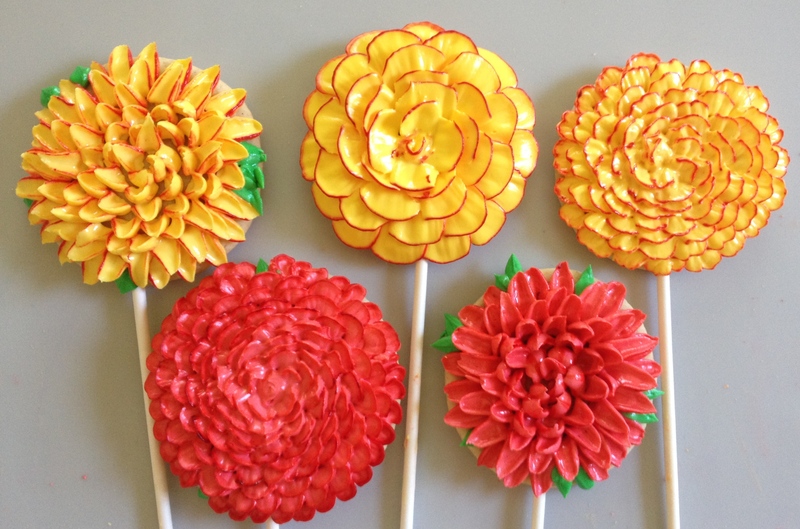 Before transferring the icing to the piping bags, I ran a line of gel-based food coloring down the edge of the bag to achieve the dark edge effect on these flowers. Step 3: Plan the design. 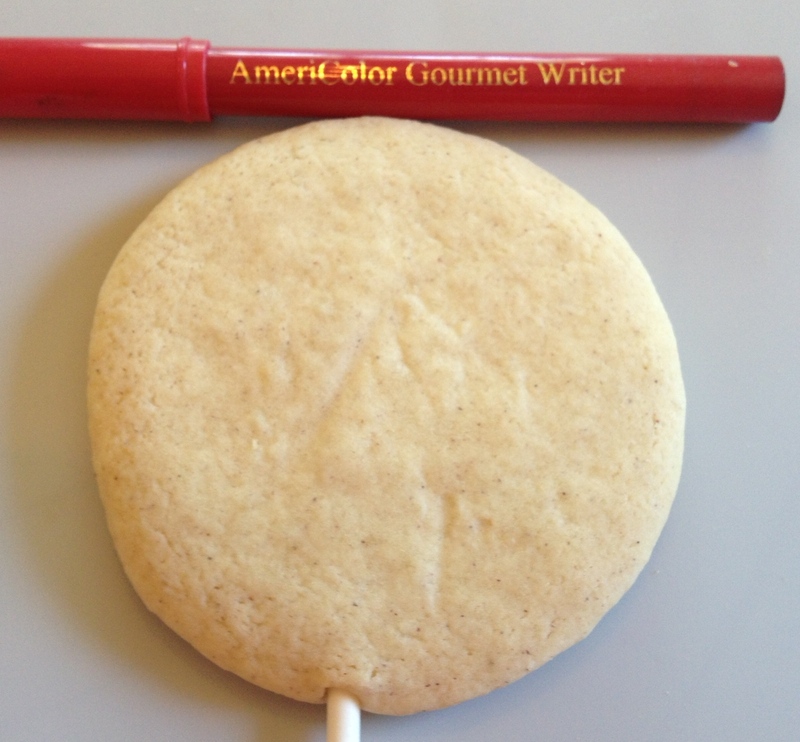 Because this was my first time out, I drew circles on the cookies with a food writer first. 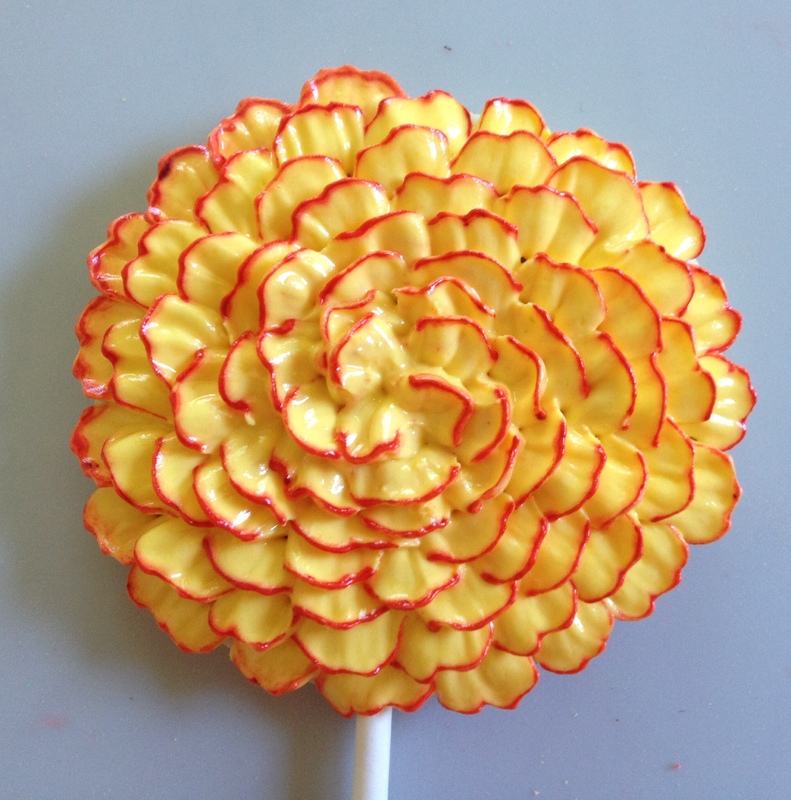 This is not required and after the first few, I abandoned the extra step, but the lines did help to keep the petals from drifting off center. 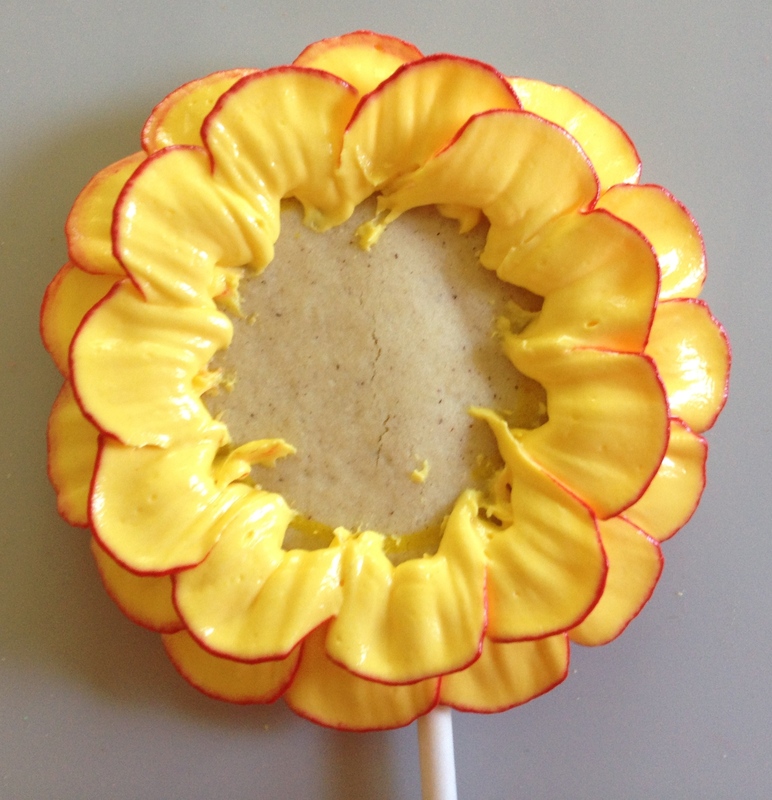 Step 4: Pipe the petals. I piped these from the outside in. 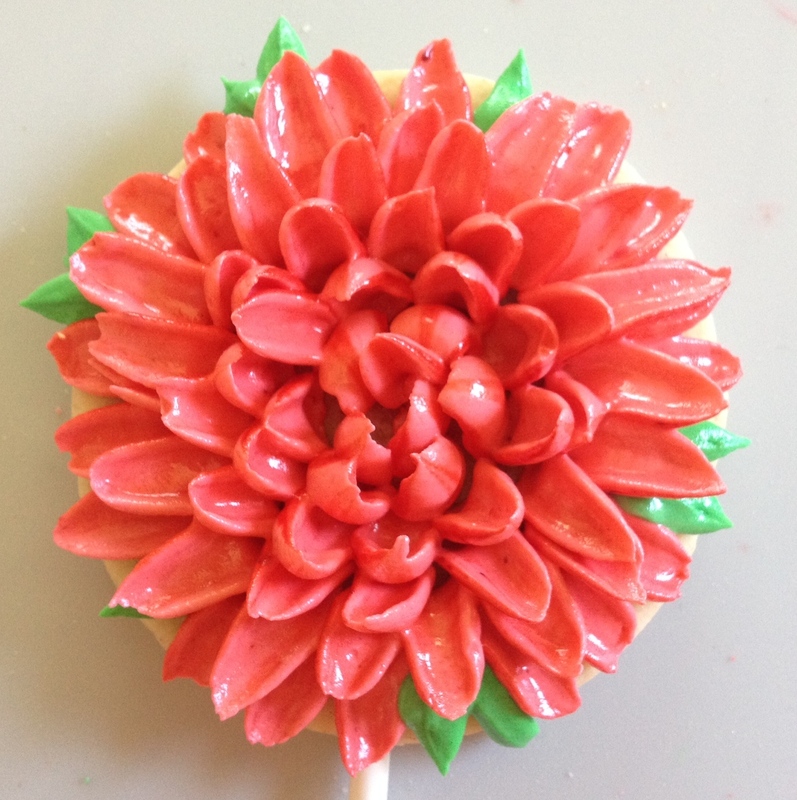 If you are using a flower nail, you can pipe from the inside out, but if you are piping directly on to the cookie as I did here, you are best to work from the edge toward the center. 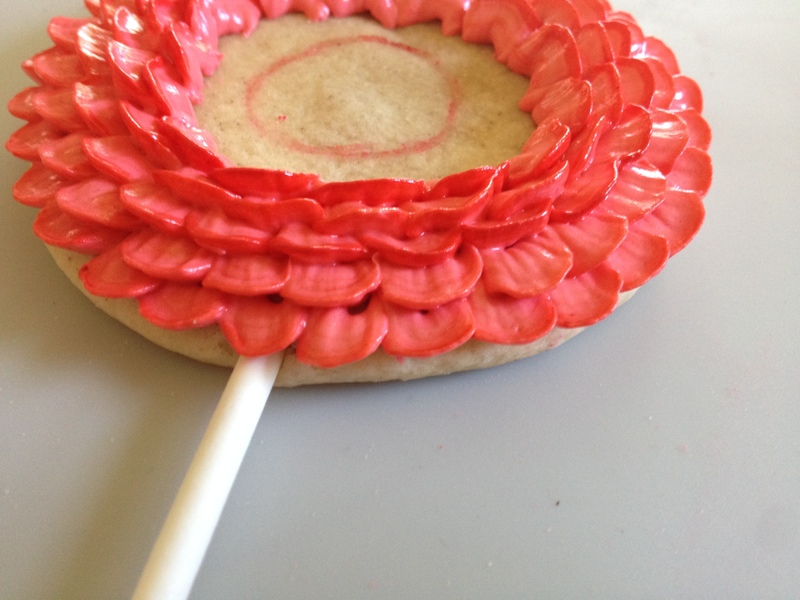 For the petal tips, pipe with the narrow end facing up and away from the cookie. 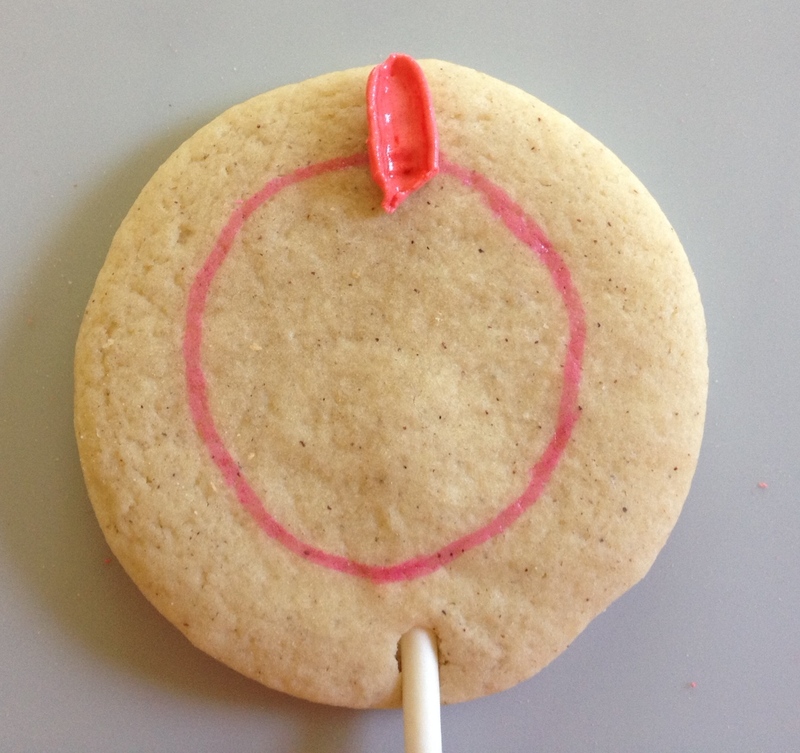 The wider end of the tip should point down and toward the cookie. You can see that I was a little sloppy on the inside edge, but it’s okay! 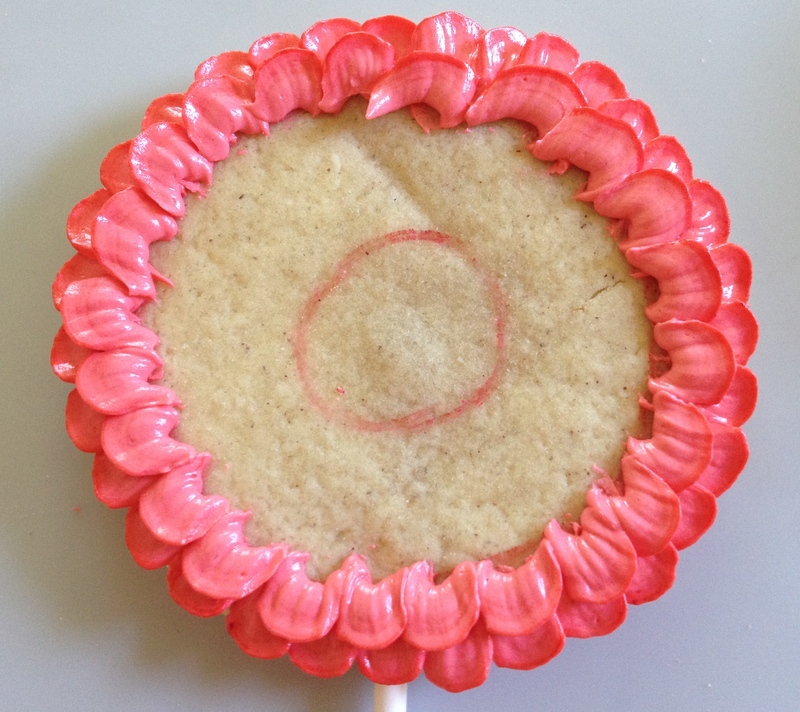 The next row of petals will cover the sloppy bits. 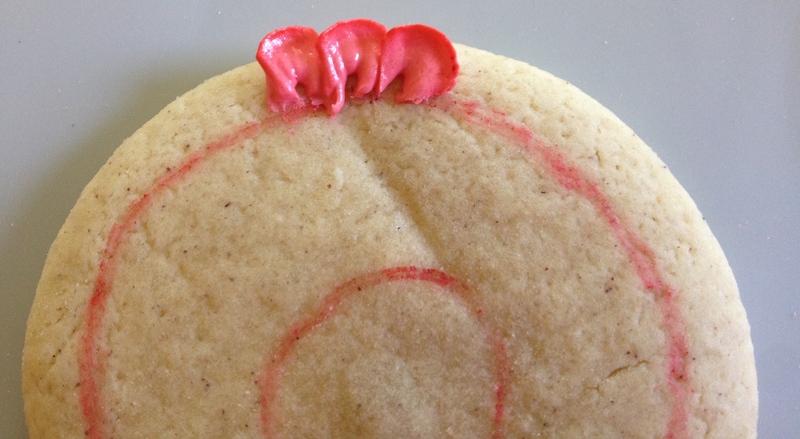 For the half moon tip, drag the curved edge along the cookie, starting in the center and pulling out toward the edge. 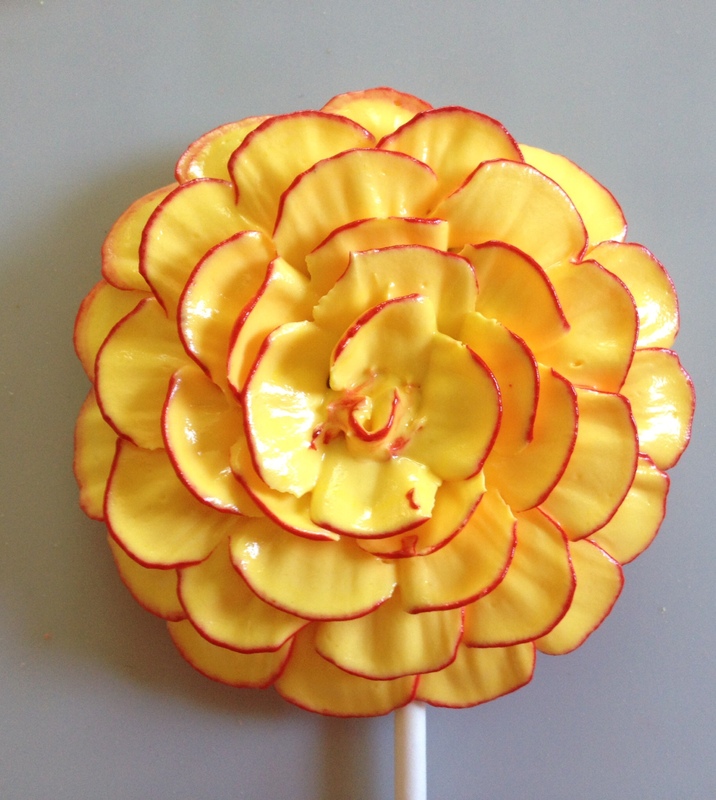 In order to create the three-dimensional effect, each row should become increasingly vertical, until the petals are essentially at a 90 degree angle by the time you get to the center. Keep working until you hit the center where you can finish with a dot, a flourish, or a bud.